To purchase Mira books from this web site, please scroll down! ABOVE Science writer and children's book author Anne Brataas in 2019 founded the first press in the U.S. dedicated to publishing works by children with her new non-profit, Minnesota Children's Press www.minnchildpress.org Photo Credit: Scott Takushi, ©St. Paul Pioneer Press 2019. 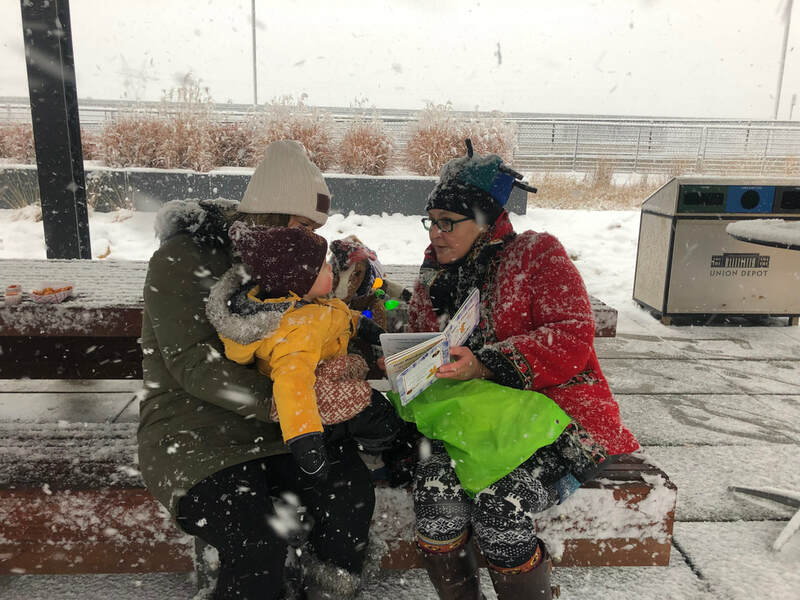 BELOW In a bold and perhaps rash act of public reading, Anne reads aloud to baby Elliott during a snow storm at the European Christmas Market in Downtown St. Paul, December 2018. As a strolling reader, Anne shared the wonder of the season, snow and story with families and pioneered all-weather read-alouds. They're really fun! Photo Credit: ©Christina Hadjiyiannis 2019​. Tap & See the video below for a peek at the Fur Lab craft activity at our Read Aloud, Make Along With Mira workshop! Read aloud and wonder along as you nurture your child’s brain with this beautifully illustrated spoken, embodied story--one written to be read aloud by you when you are physically with the child, not delivered from disembodied screens powered by device processors that are so much a part of modern life. Devices and screen life have their place, to be sure. But it is not with young children--they rewire the brain's connections, called synapses, in unhealthy ways. ​ Be present to your child. Read to and with your child. It's how you build the neuronal connections of the developing brain. 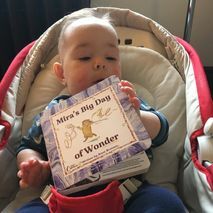 Expand your own relationship with mirabilis--the Latin word for miracle--and the sense of what is possible in parenting, care giving and healthy growth for children. Read non-toxic paper books aloud with your child. 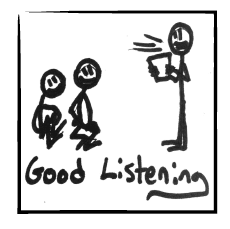 Nurture a child by reading aloud. You deepen your bond and help the child build a better brain for a lifetime of learning fueled by curiosity and wonder. Taste the story. But only if it is a non-toxic book printed in the U.S. to meet health and safety standards. Safe, happy, cozy, loved. 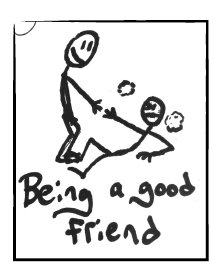 This is a phrase you will read in the first pages of Mira books. It is also our fondest hope for readers and listeners to experience with Mira. 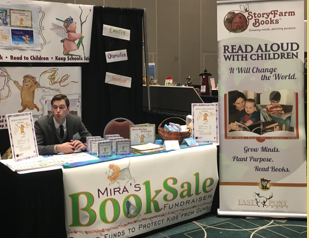 ​All Mira books are written, illustrated, designed and published in the USA with children's physical, mental and spiritual well-being in mind. 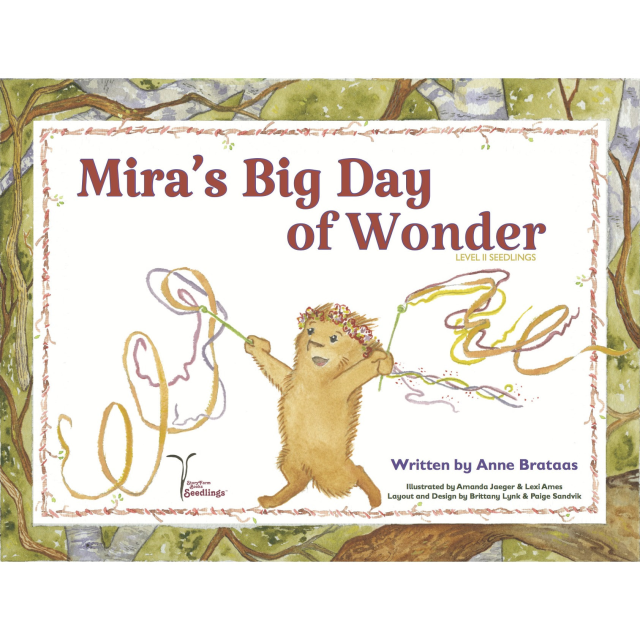 StoryFarm Books' vision for the Mira series is clear and simple: ​Grow minds, plant purpose. 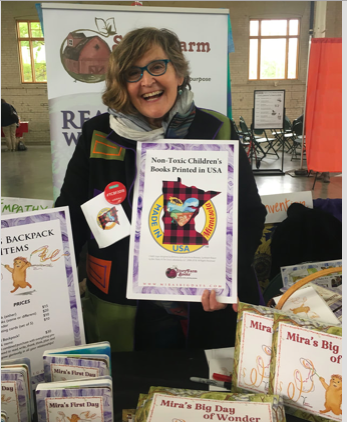 Thank you to all who visited us at the Twin Cities Book Fair Oct. 13, 2018, at the Minnesota State Fair Grounds and at the WomenVenture's Market on Oct. 12 at the Minneapolis Convention Center, and the November 8 national conference on children's brain development convened by the Minnesota Organization for Fetal Alcohol Syndrome . It is a national leader and pioneer advocacy group for research and public awareness about children's neurodevelopment issues. Anne at Twin Cities Book Fair. Kip at WomenVenture Book Sales. 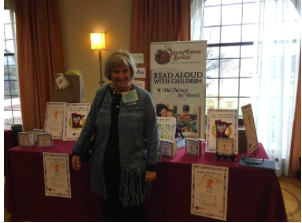 Susan Carlson, former Minnesota First Lady, at children's brain health conference of the Minnesota Organization for Fetal Alcohol Syndrome. 32 pages, watercolor, pen and ink--and bonus secret code and decoding key. Printed in Minnesota USA. Podkins stories are Level I board books to be read aloud to children, birth to age 3. Offer 24 pages, full color watercolors. Printed in USA. 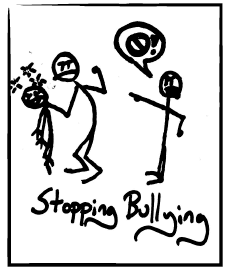 Source: Sawtooth Elementary School 4th Grade News, election edition, Anne Brataas, Editor and Publisher. 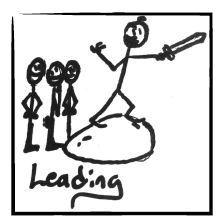 Stick Figure Artist: Kip Hathaway.